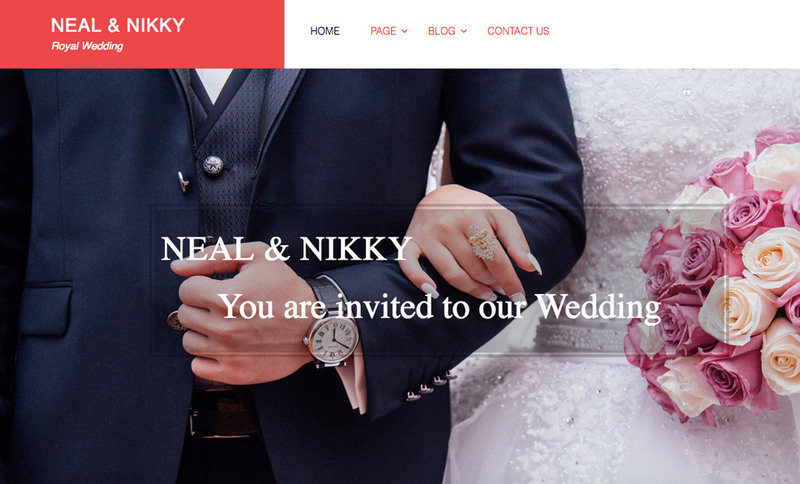 This premium wedding WordPress theme is dynamic, engaging and captivating to compel viewers to accept your invitation. Treasure the memories of your wedding with your family and friends through this beautiful website. It is essentially made for couples, but it can be used as a wedding industry website serving effectively to wedding photographers, decorators and wedding bands. The theme is flexible enough to be used for engagements, birthday parties, anniversaries and other family gatherings. It is fully responsive and cross-browser compatible. It enables you to invite your guests in your local language as the theme is translation ready. Its coding standard matches with that of WordPress making your site bug-free. For better search engine results, this premium wedding theme is made SEO-friendly. An array of elements can be tweaked through its powerful theme customizer. Effortless customization is provided for header, footer, colour, background, menu etc. You can share your site content on social networking sites through its social media icons to invite people through these mediums as well. The theme has a gallery and separate sections to introduce bridesmaid, grooms men and other wedding events. We provide regular theme updates and customer support to make you feel like home when it comes to using this theme. The premium wedding theme has a very creative design with all the features necessary to build up a website as special as your wedding day itself.